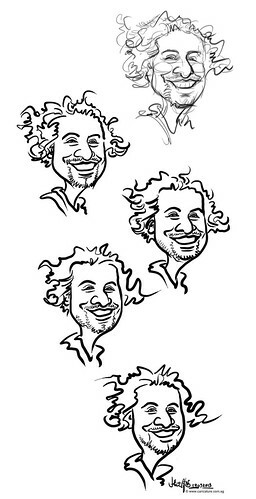 This client wanted a simplified caricature sketch of himself for his website and business card. I did a couple of sketch and I guess the last piece (bottom) is my favourite? !